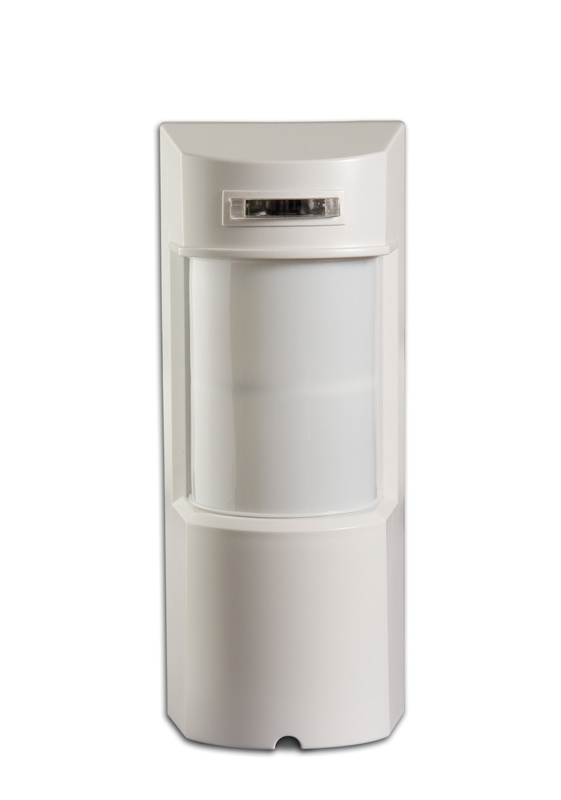 An entry level Security system would be composed of a non-dedicated Windows server, UPS (uninterruptible power supply), RWME software, SS6420E unit, audible siren and a series of door, window and motion detectors. It will also require scripts, that we supply, which arm, disarm and trigger the system into action. The scripting is where you get to add in your own customization. As your security system evolves you can add in smartphone control, wireless keyfobs, control of outdoor lighting and cameras. If you are limited by the cabling that can be run, we can offer long range (sub-GHz) wireless detectors that operate in the radio frequency that is approved for your region of the world. 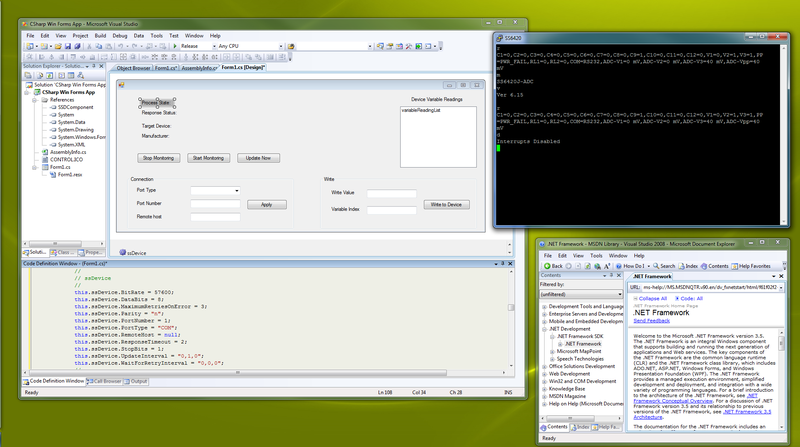 Contact Sensorsoft if you want to explore the building of your own intruder, safety and security monitoring system. 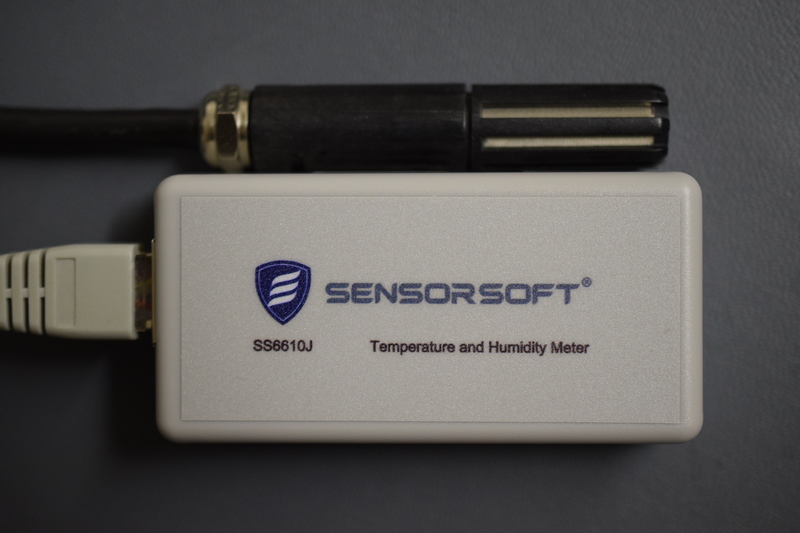 With Sensorsoft, adding temperature or other environmental monitoring to your product offerings is a fairly staright forward project. 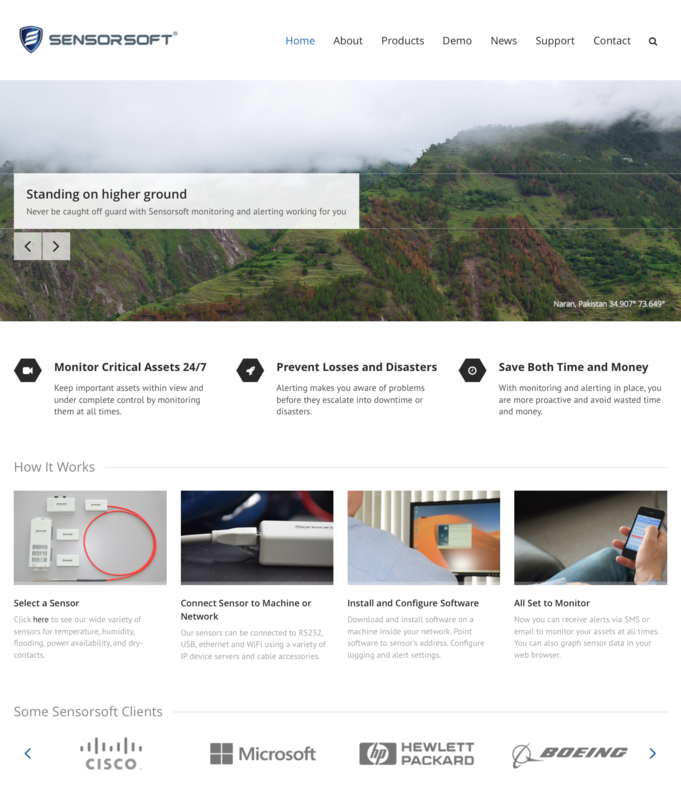 We have a number of resources for adding support to your existing software to communicate with any of our Sensorsoft devices. Click here to learn more about our developer software resources. not have a record of sale. Click here for more details on Sensorsoft Device Server. To be scrupulous we need to mention that all Sensorsoft measurement products are tested against our traceable reference standard to ensure they are reading within our stated specification before they are shipped to a customer. In rare cases that the UUT (Unit Under Test) is not reading accurately we remove it from the process. The non-conforming UUT is then repaired, retested or in some cases discarded if it cannot meet specification. Therefore it is unlikely you will encounter a unit that does not meet specification. In addition our traceable reference standard is checked and adjusted yearly by an outside acredited laboratory in the Boston area to ensure we have certainty in our process. 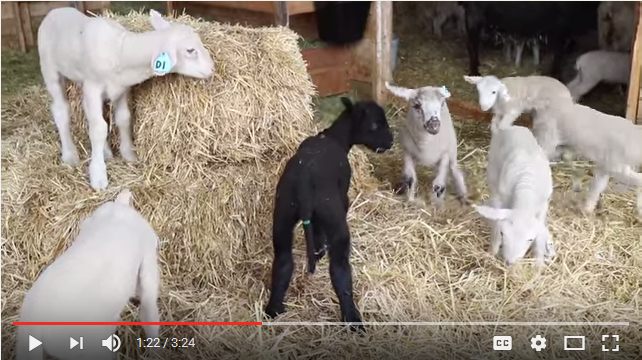 Click here to see this video: How sensors can be used in Farming. The video production was done by Symbol Syndication. 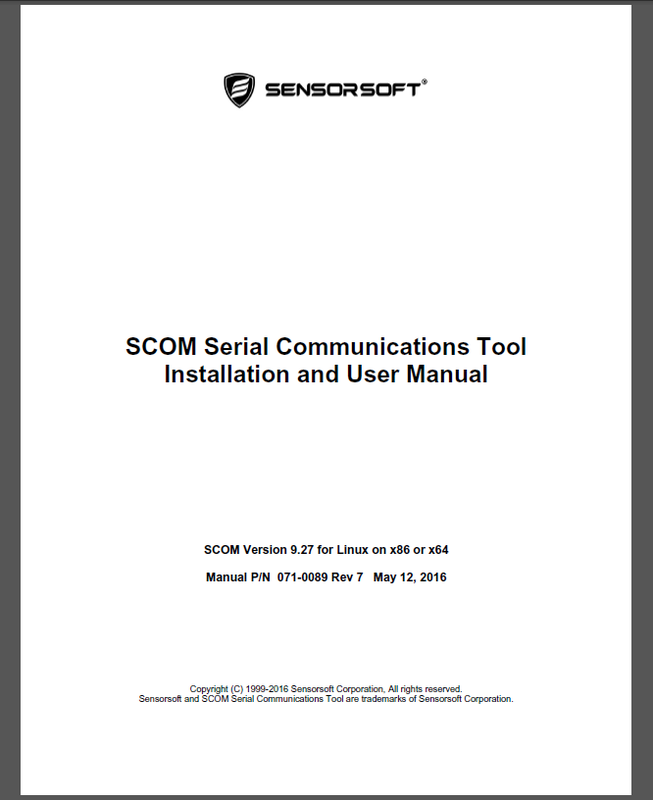 For more details on the bug fixes and improvements see the SCOM Serial Communications Tool Installation and User Manual in the section, Release Notes for version 9.27 and 9.25. If you are a licensed user of a previous version of SCOM software, contact us to see if you are entitled to a free upgrade. Antonio Bolanos, Umar Bhutta and others. We hope that you will find the new website more helpful. If any omissions, errors, or short comings are evident, we would appreciate your feedback. Later we plan to implement online searching of our web site, online price quoting and ordering to complement our new site. 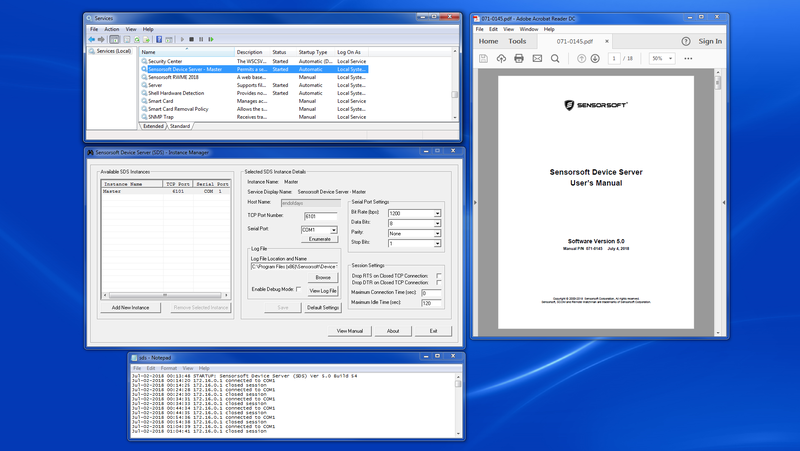 Sensorsoft, Alert and Remote Watchman are trademarks of Sensorsoft Corporation.